Pvt. Charles Preston of Nicholasville, KY Truman Presidential Library. By December 21, 1944, U.S. troops had been engaged in the Battle of the Bulge for five days. En route, reinforcements included Pvt. Charles Preston of Nicholasville. Pvt. 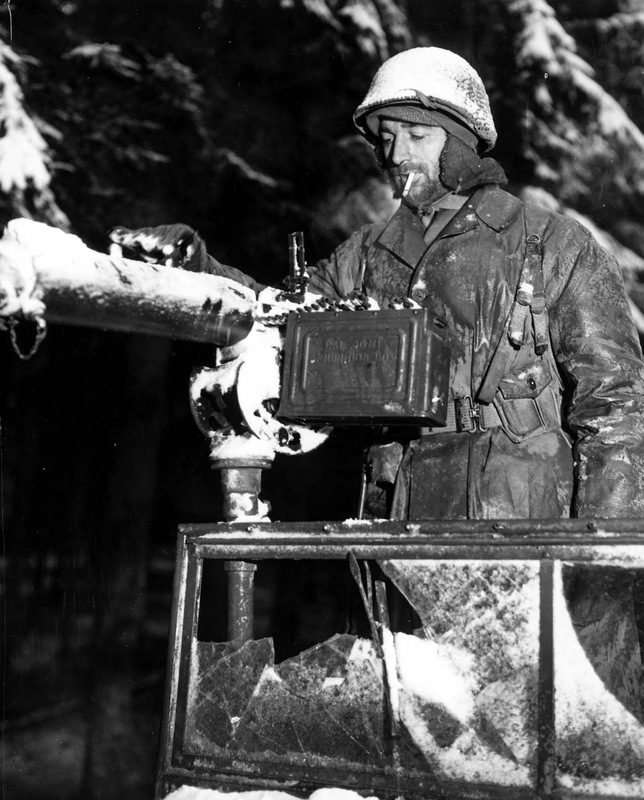 Preston is photographed clearing snow from his jeep's mounted 30-caliber machine gun. The photo was taken 70 years ago today. Private Preston survived the war and lived until 2003 (he died eleven years ago tomorrow, December 22). He is buried at Camp Nelson in Jessamine County, Kentucky.